ITALIA LEGNO ENERGIA is the only exhibition in Central Italy with a specific focus on the latest and most innovative technological solutions for agroforestry biomass-fuelled heating. 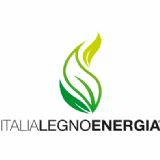 ITALIA LEGNO ENERGIA has been organized by Piemmeti, a subsidiary of Veronafiere which is also behind Progetto Fuoco, the world's leading exhibition in the field. With this new initiative, Piemmeti aims to highlight the potential and the need to invest in the biomass-fired heating industry in the local area, which has vast areas of woodland and forests.